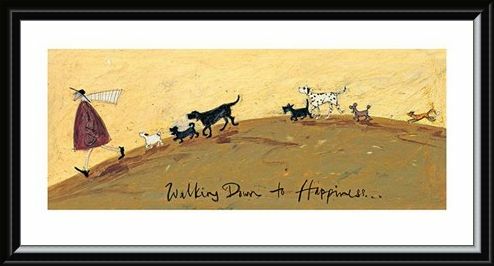 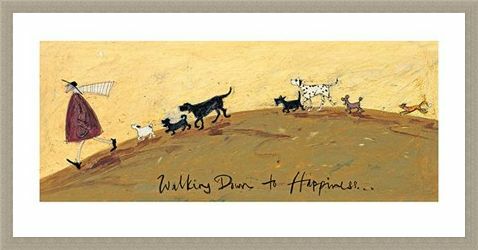 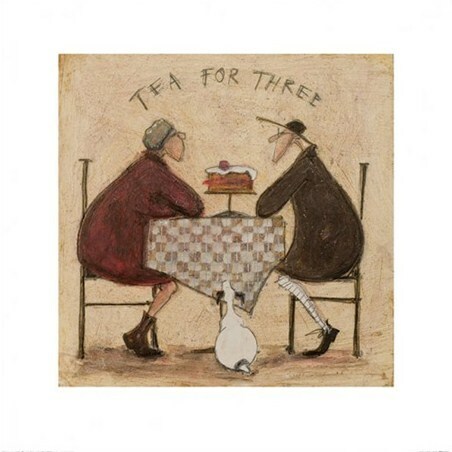 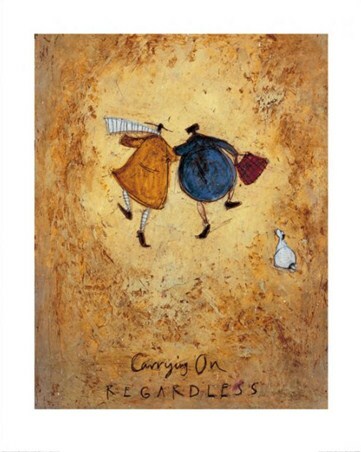 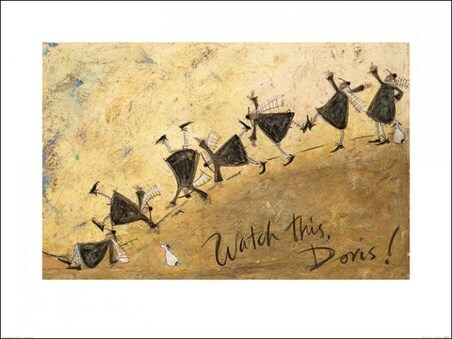 Art Print: "Walking down to happiness" - this print, by British artist Sam Toft, depicts Mr Mustard walking over a hill whilst an array of dogs follow loyally in his footsteps. This tranquil dog walk shows you that even if you think that you are by yourself, your friends are never far away! The simple colour scheme, of yellow and brown, emphasises the theme of happiness and it is sure to add some much needed colour and warmth to your home.